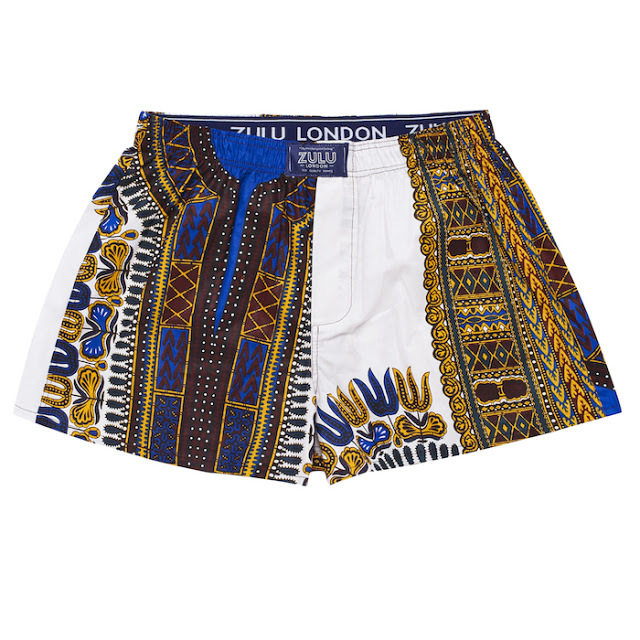 Just in time for Christmas and New Year, British brand ZULU LONDON has released a new collection of boxer briefs for men, the fourth since the brand was created last year. This brand is known for creating vibrant underwear with bold colours and refreshing designs and this collection is no exception. The founder of the brand Jack Hicks grew up in Durban, South Africa, and was inspired by the bold prints found in ‘eThekwini’ Market. 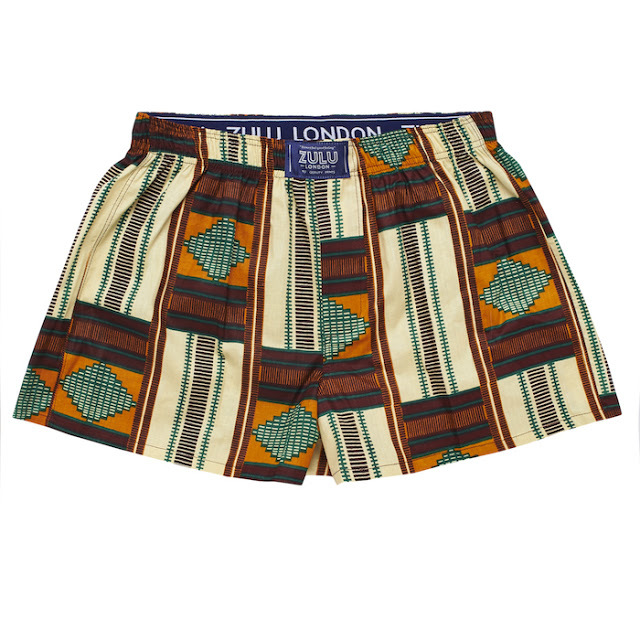 The new collection features seven African-inspired prints designed by Joe Hearty, a Scottish artist who lives and works in East London and has a background in Product Design & Graphic Art for boutique fashion brands. 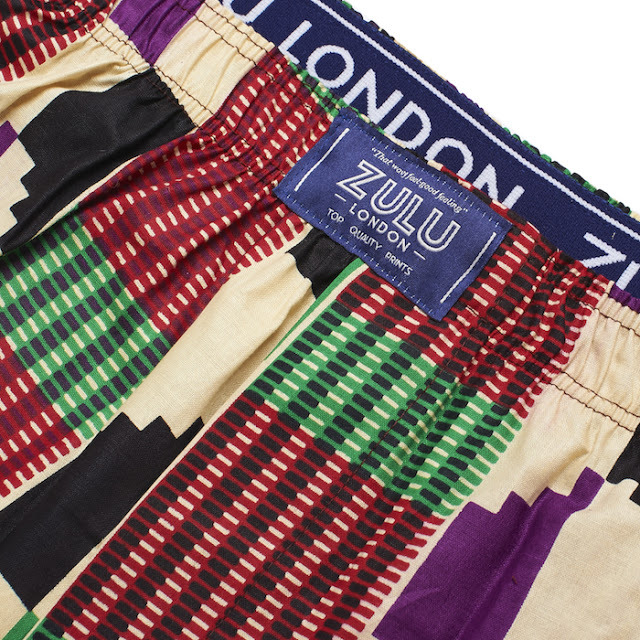 ZULU LONDON’s boxer shorts are handmade in North London and they retail at £17.50. The cut features a three panel design with tapered legs and flat seams for a slim fit. The fabric used is 100% cotton. 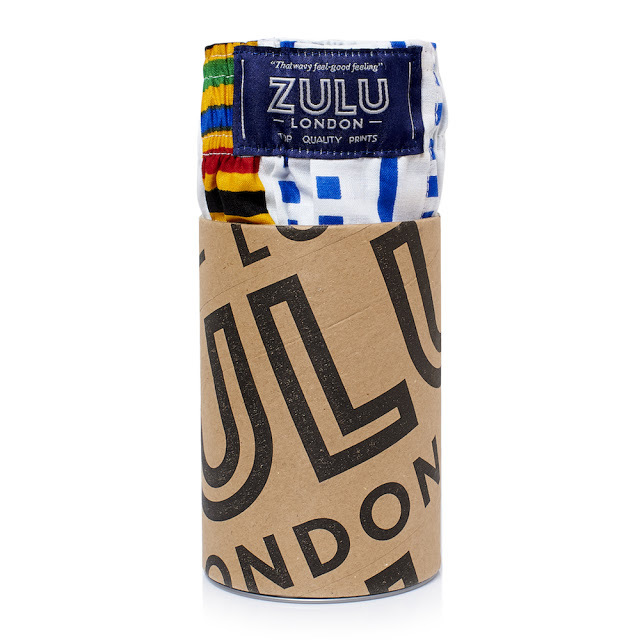 You can find them at independent shops around London and at the website of the brand. To launch the collection, ZULU LONDON worked with London based free runner Conor Kenny who travelled through his favourite parts of London to showcase the prints. Enjoy the photos from this campaign below and a closer look at the packaging and the prints of some of the new designs. If you like them as much as we do head over the brand’s website and grab a pair or two! ZULU LONDON is proud to donate at least 10% of its underwear sales profits to the Clouds of Hope children’s care centre in Underberg, South Africa, which provides a home for those orphaned as a result of the HIV/AIDS pandemic.